LAS VEGAS & STOCKHOLM, Jan. 2, 2013 — Tobii Technology, the global leader in eye tracking and gaze interaction, will unveil Tobii REX at the 2013 Consumer Electronics Show next week in Las Vegas. Tobii REX™ is the world’s first gaze interaction computer peripheral for the consumer market. It redefines the user experience by the power of Tobii Gaze™, the revolutionary and award-winning eye-tracking-based interface introduced last year, and enables users to control the computer by combining their eye gaze with other controls, such as touch, mouse and keyboard. 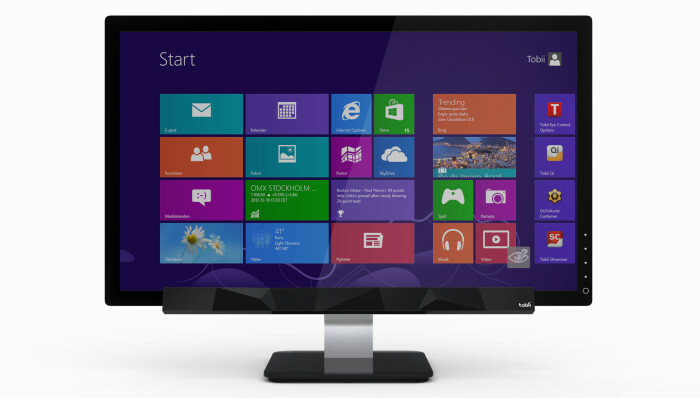 Tobii REX is available now for software developers and will be available for consumers in fall 2013. Tobii REX is a new computer peripheral product that adds Tobii Gaze features to any Windows 8 PC. Tobii REX adheres easily to the bottom of any desktop computer screen and plugs into the computer by USB connection. Tobii REX adds core Tobii Gaze functionality integrated to work in combination with other controls, such as touch, mouse and keyboard. Tobii will be making 5,000 Tobii REX peripherals available for consumer purchase by fall 2013. Consumers can sign up now to receive a Tobii REX VIP preorder invitation, which Tobii anticipates will be distributed in spring 2013. At CES, Tobii will demonstrate some of the core concepts of Tobii Gaze: Gaze Select, Gaze Scroll, Gaze Zoom and Gaze Navigate. The Tobii Gaze concepts are using Tobii’s pioneering and world-leading eye-tracking technology. By adding Tobii Gaze to existing controls, such as the keyboard, touchpad and mouse, the user experience is fundamentally transformed. Tobii Gaze reduces a majority of the fuss of moving the mouse pointer around and makes the computer interaction faster, more intuitive and more fun. Tobii Gaze and Tobii REX will be on display at CES Unveiled Las Vegas on Jan. 6 and at LVCC South Hall 4, Booth No. 35266, Jan. 8-11. “An important step in preparing for the launch of a consumer peripheral is to expand our partner program for software developers. Together with pioneering software developers, we look forward to launching a device that will totally transform the core experience of computer interaction and open up a whole area for new software applications,” said Eskilsson. Tobii REX Developer Edition is available now for software developers who want to discover exciting ways to add the benefits of Tobii Gaze to existing applications or create innovative new software solutions. The developer edition is $995 and can be ordered online at www.tobii.com/gaze-partner. By joining the Tobii Gaze Partner Program, developers get access to Tobii REX, Tobii Gaze Interaction SDK and other support materials needed to quickly get started.